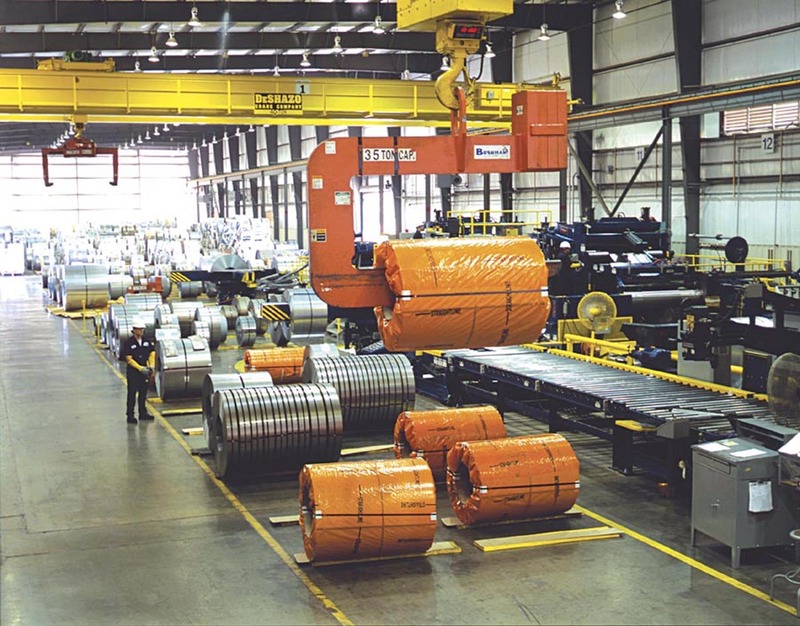 Below The Hook Lifting Devices like Bushman’s crane C-Hooks are engineered to meet the specific coil handling requirements of the customer’s below the hook operating environment. Unitized construction of a C-Hook means only the bail, counterweight and coil support saddle are welded to the main, one-piece burnout. 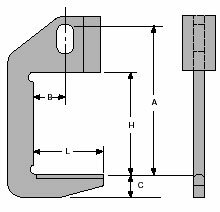 Tapered lower carrying arm facilitates C-Hook entry into the coil ID. 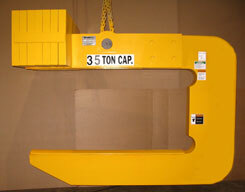 Beveled top edge on carrying arms is standard on C-hooks under 20,000 pound capacity. 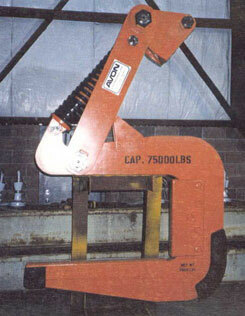 Coil support saddles are standard on C-Hooks with 20,000 pound or greater capacity. Each C-Hook is custom engineered to meet the customer’s specific requirements for load configuration, weight, lifting area and headroom. 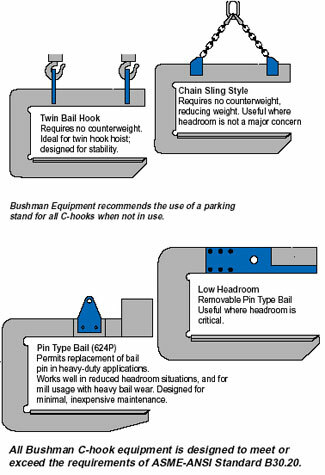 All Bushman Equipment, Inc. C-Hooks are designed and manufactured in accordance with the latest revisions of ASME Specifications B30.20 and BTH-1, Design of Below-the-Hook Lifting Devices. 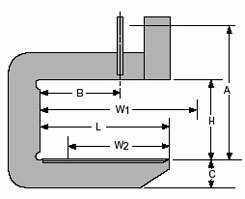 This crane C-Hook has a lower member length (“L” dimension) which equals the maximum coil width. The full length support feature of this C-Hook increases the amount of surface area in contact with the coil, minimizing the potential for damage to the inner wraps of lighter gauge coil stock. The tapered carrying arms facilitate entry into the coil ID. 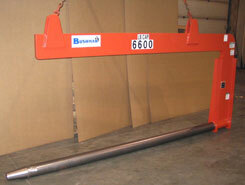 Model 624 C-Hooks are counter balanced to hang level whether loaded or unloaded. They are fabricated from high strength steel body plate to minimize size and weight so they are an economical choice for coil handling. 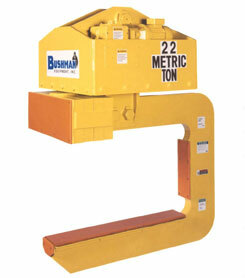 Bushman Equipment, Inc.’s motorized rotating crane C-Hook, a mill duty lifter, comes equipped with a motorized rotator capable of continuous 360° rotation. This feature provides additional capability for safe and precise positioning of coils. 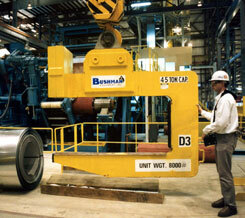 Our mill duty C-Hooks are designed for continuous, severe mil service. It is designed to ASTM BTHJ-1, Category B, Service Class 4. 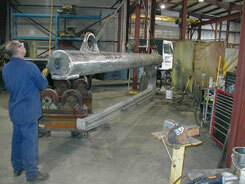 Larger sections and corner radii keep stresses to a minimum that provide maximum service life. This C-Hook is designed for close stacking. The distance from pick-up point (center of gravity) to the end of the hook is shortened. 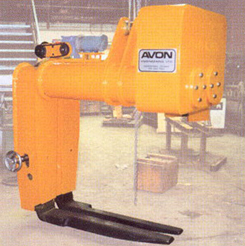 The shorter lifting arm permits handling all coil widths within operating range (widest to narrowest) without the lifting arm extending beyond the outer edge of the coil. 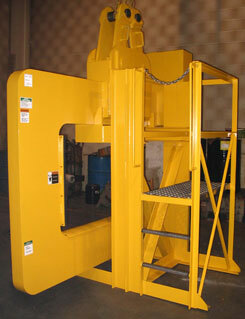 The reduced overall width of this style of C-Hook lifter can help decrease aisle space requirements, increasing storage capacity. This C-Hook lifts the paper roll by inserting the lower member through the roll core. 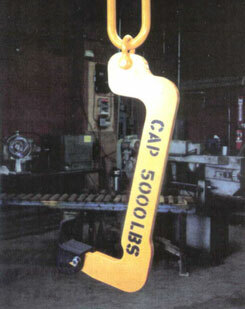 The model 610 C-hook is similar in construction to the model 624. 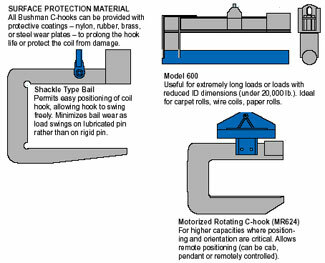 The lifting bail is turned 90° and burned from the same piece of plate as the hook, making it an integral part of the C-Hook. The standard “H” dimension on the model 610 is 20 inches. This C-Hook was designed for submerging wire or rod coils in an acid pickling line. It is clad 100% in nickel to protect the steel used in the fabrication of the units. 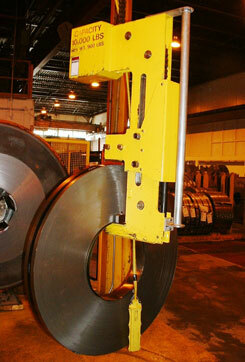 Specially designed lifter facilitates fast and safe placement of a slit coil onto an un-coiler mandrel. It automatically adjusts to varying coil diameters. 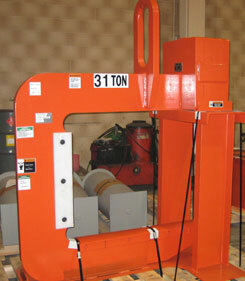 The full length handle makes it easier to maneuver the lifter. Faster and safer than using a conventional C-hook. Since C-Hooks are large and heavy, they can cause personal injury or property damage if they fall over. Each C-Hook should be stored in an upright position on a stand specifically designed for its size, shape and weight. 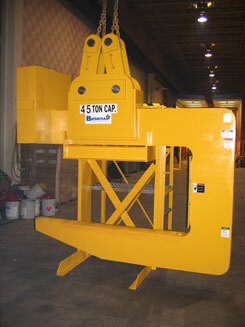 Ladder and platform allows for easy access to the crane hook and lifting bail.